Redken Extreme MegaMask 200ml. Clearance Stock.Free P&P! To use: Use once a week. Apply on wet, towel-dried hair before shampoo, then massage into hair from roots to ends. Leave on for at least 10 minutes, rinse then follow with Redken shampoo and conditioner. Also provides heat protection against thermal styling. 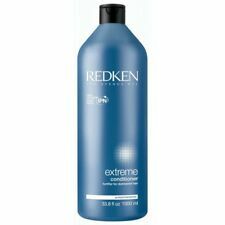 Redken All Soft Shampoo 300ml. - Redken All Soft Conditioner 250ml. Redken’s exclusive Interbond Conditioning System and Silk-Luxe Complex target dry/brittle hair for intense, inside-out softeness, sleekness and brilliant shine. Do not rinse. Style as usual. Interlock protein network. Key ingredients Directions for use Why it works. Redken Color Extend Magnetics Conditioner is a sulfate free conditioner that provides care for color treated hair leaving a soft and smooth finish. We are very serious against false claims. Any attempts with intend to manipulate our system will result in appropriate repercussions. We are very serious against false claims. Any attempts with intend to manipulate our system will result in appropriate repercussions. No exceptions. EAN Does not apply. Fortifies hair for 15X more strength that lasts for 3 washes. Content: 240ml. If there's a problem, just let us know and we will fix it. Combines a deep conditioning mask and a hardworking extender. It contains two different formulas that provide deep conditioning and strengthening. We are very serious against false claims. Any attempts with intend to manipulate our system will result in appropriate repercussions. Contains NEW RCT protein complex, with 3 proteins to treat to treat hair at the root, core and tip. Leaves hair supple manageable & healthy looking. Produces a rich nourishing foam that gently cleanses hair. Blended with Apricot Oils that penetrate hair uniformly through multi-layers & into the core. The shampoo should be in the ratio 1:10 (3 ml: 30 ml) mixed with water. Optimal application with the Redken shampoo applicator: apply on damp hair, lather up, then rinse. Redken's exclusive Interbond Conditioning System and dry lend Silk-Luxe Complex, fragile and brittle hair for intense, luxurious softness and brilliant shine. This strength restoring conditioner will smooth cuticles and ease wet combing, leaving your hair in fabulous shape. Diamond Oil High Shine Shampoo (For Dull Hair) 300ml. A shine boosting shampoo for dull fine hair. Developed with exclusive strengthening Interlock Protein Network & Sparkling Oil Complex. Leaves hair strong & vigorous looking. Blended with Apricot Oils that penetrate hair uniformly through multi-layers & into the core. Hair appears suppler more manageable & healthier looking. Contains ceramides & proteins to nourish & strengthen stressed hair inside out. Hair appears softer smoother more manageable & healthier looking. Formulated with ceramides & proteins to nourish & strengthen stressed hair inside out. A nutritive restorative shampoo. Leaves hair soft smooth manageable & healthy looking. A lightweight conditioner for all hair types. Enriched with Brazilian pracaxi oil to strengthen hair fibres. REDKEN ALL SOFT CONDITIONER PROTEIN COMPLEX. Use complete system with All Soft Shampoo and Argan 6 Oil. After shampooing, Apply and distribute through hair. Rinse thoroughly.Style as desired. - All Soft Care System. A color protecting conditioner for color treated hair. Hair appears softer smoother & more manageable with brilliant color. Developed with Interlock Protein Network (IPN) technology. Contains a high level of amino-ions to seal in color. Formulated with ceramides & proteins to nourish & strengthen stressed hair inside out. A nutritive restorative shampoo. For lightener, add 4ml of PH- BONDER #1 for every 15/30 grams (1/2- 1 oz) of power or 8 ml of PH- BONDER #1 for every 30-60 grams (1-2 oz) of powder used in mixture. REDKEN PH- BONDER - BOND PROTECTING ADDITIVE SINGLE USE KIT. 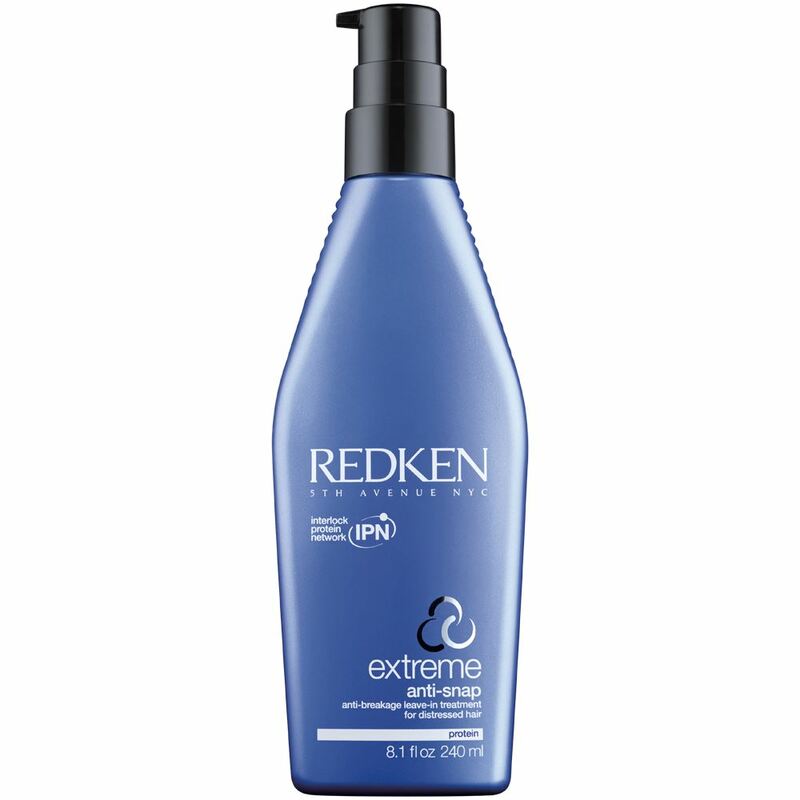 Redken Extreme Conditioner 250ml (RCT Protein Complex) Product Description One of Redken's best-selling products, this hair strengthening conditioner protects shine, repairs sensitised hair and leaves hair supple and shiny. BENEFITS: Contains NEW RCT protein complex, with 3 proteins to treat to treat hair at the root, core and tip Strengthens weakened hair. Detangles, smooth’s and strengthens. Reduces breakage by 75%* With the use of Extreme Shampoo, Conditioner and Anti-Snap. 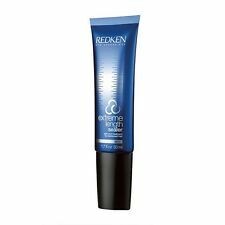 REDKEN ALL SOFT SHAMPOO - PROTEIN COMPLEX. Apply to wet hair, massage into a lather, rinse thoroughly. Use as a complete system with all soft Conditioner and Argan 6 Oil. - Intense softeness - Hair is silky soft. Enriched with strengthening proteins, it providesstrong ,supple andshiny hair whilereducing hair breakage andsplit ends. Right of withdrawal. Apply to wet hair, massage into lather, rinse thoroughly. Marke Redken. DIAMOND OIL Conditioner. Maßeinheit 100 ml. Haartyp Lockig & Naturkraus. EAN 884486103390. Hair will look revitalized. Right of withdrawal. For a Warm or Golden Blonde. - Preserves warm or golden blondes. The protein based formula works inside the hair. Your hair gets stronger, more manageable and has a brilliant shine. Perfect for bleached hair. Contains ceramides & proteins to nourish & strengthen stressed hair inside out. A color protecting conditioner for color treated hair. Diamond Oil High Shine Gel Conditioner (For Dull Hair) 250ml. An ultimate conditioner for dull hair. Adds diamond-like shine to hair. Leaves hair silky smooth & energetic. A strengthening hair mask. The hair is repaired from inside and protected against hair breakage. The hair structure will be rebuilt and is more resistant. Application: After the hair wash, put it into the towel dry hair and let it react for 10-15 minutes. For hair like new.